Real estate veteran Morgan Pasco knows that behind every great business success there is an exceptional team. With that understanding in mind, she formed her first real estate team in 2013. Today, the Morgan Pasco Group at Compass is comprised of talented, competent and passionate realtors dedicated to working as a unit to meet the unique and specific needs of each and every client. MPG team members' diverse skillsets run the gamut from business to design, encompassing creative dreamers, focused go-getters and empathetic warriors. 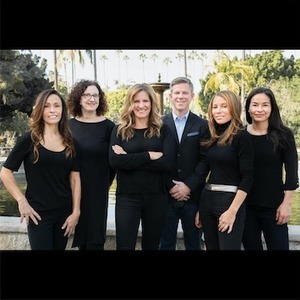 They truly believe that a strong team is far superior to the strongest individual, and above all, they are committed to their shared goal of improving lives through real estate. Integrity. MPG holds true to their principles regardless of cost. Care. MPG provides unparalleled client care that's rooted in empathy and understanding. Expertise. MPG delivers unsurpassed expertise thanks to their 19 years of combined experience. Responsibility. MPG team members are accountable to every phase of the process. Communication. MPG shares all information in an open and honest manner. The Morgan Pasco Group knows that the realtor you choose for your next home search or sale can make all the difference in the world. We look forward to demonstrating the value of MPG.